Astronomy Israel: Our Photo of the Venus-Mars-Saturn Triangle is #1 in Sky and Telescope's Gallery! 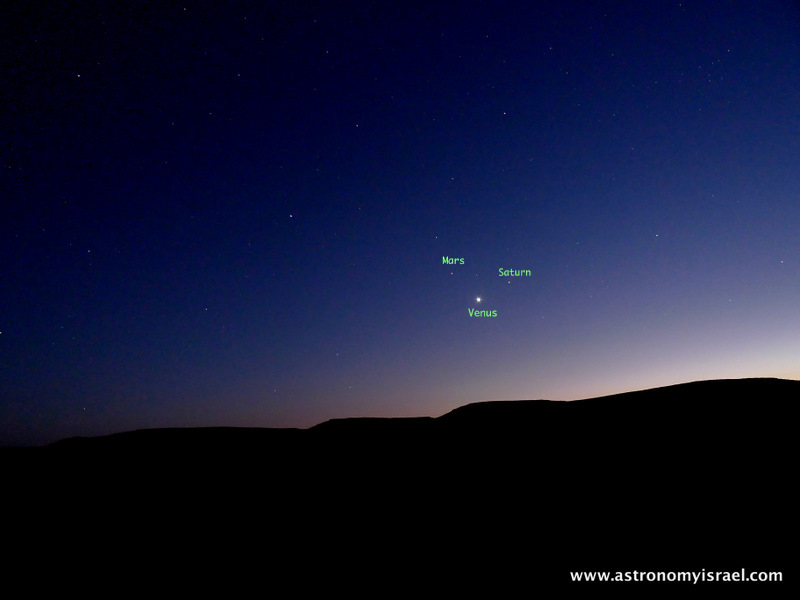 Our Photo of the Venus-Mars-Saturn Triangle is #1 in Sky and Telescope's Gallery! We are very proud to announce that our photo of this summer's Venus-Mars-Saturn triangle, best seen in early August, was chosen as the top photo for Sky and Telescopes's user gallery!